Nice one, Alf! 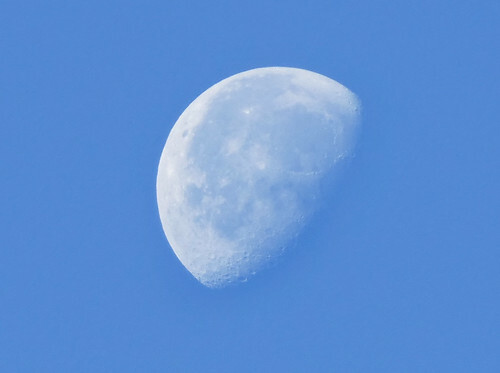 I like the yellow tint of the moon against that blue sky. 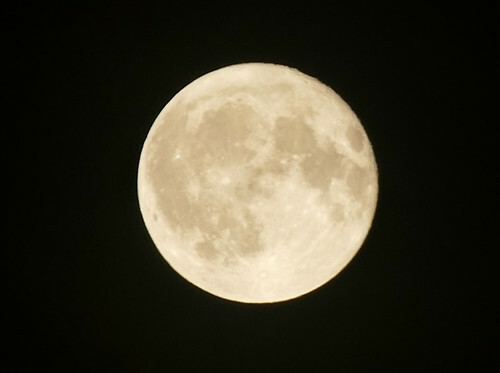 Couldn't resist trying to get a good photo of the full moon on Tuesday night... when it comes up over the trees glowing in a clear sky I just have to reach for the camera. I liked the one I took this morning, just for the bit of added interest. 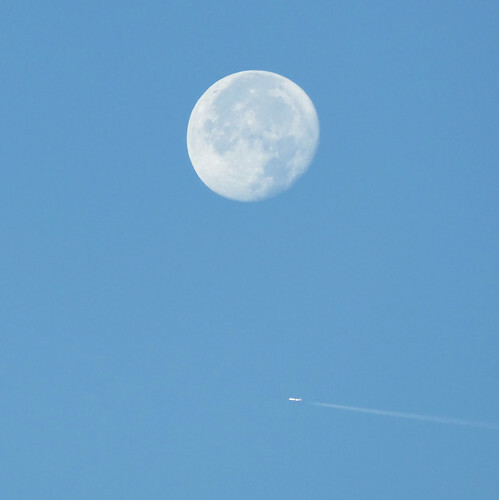 I can't believe it's been a whole month since I took those last moon shots... the year is speeding on towards Christmas. 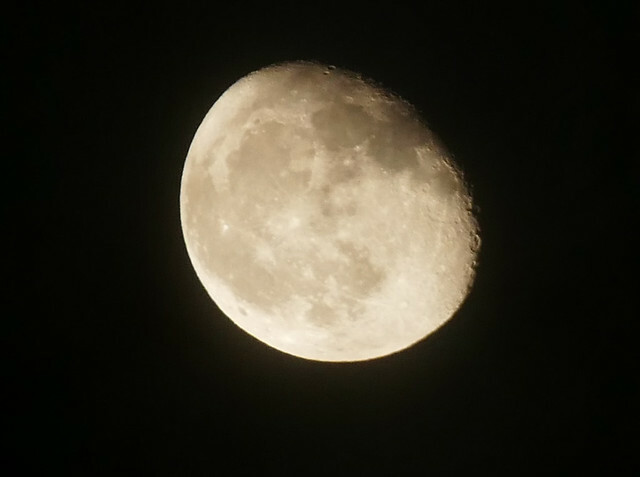 I really tried to get one of the moon behind the clouds that were scuttling by in front of it- it looked so dramatic, but my camera skills weren't up to it... this was the best I was able to take last night. 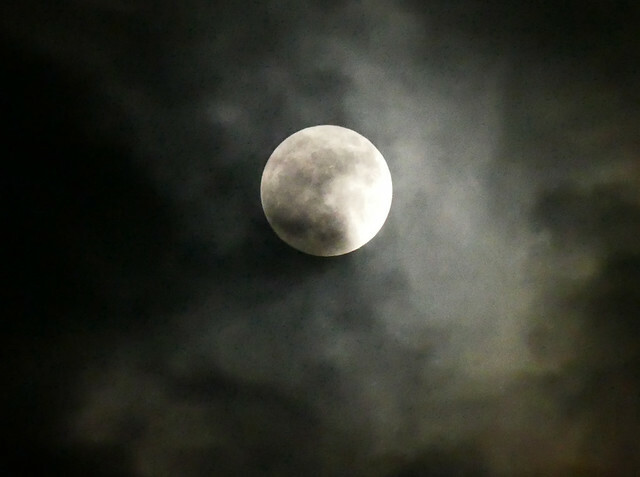 A winter Solstice full Moon on a cloudy night. 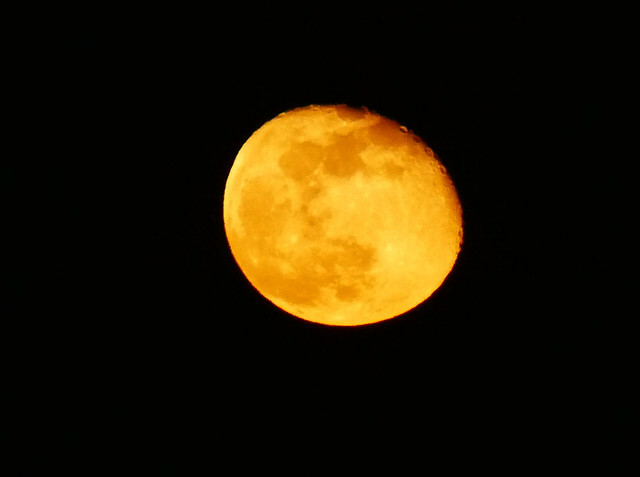 I took this one night before last, when the sky was clear. I'm fortunate to be in probably my favourite part of the country now. We've had some fairly grim days recently over the last week, so much heavy cloud that the hours of daylight have seemed even more diminished that usual at this time of the year. Today however, has been spectacular from waking to see Venus shining above the trees to this evening as the sun went down. 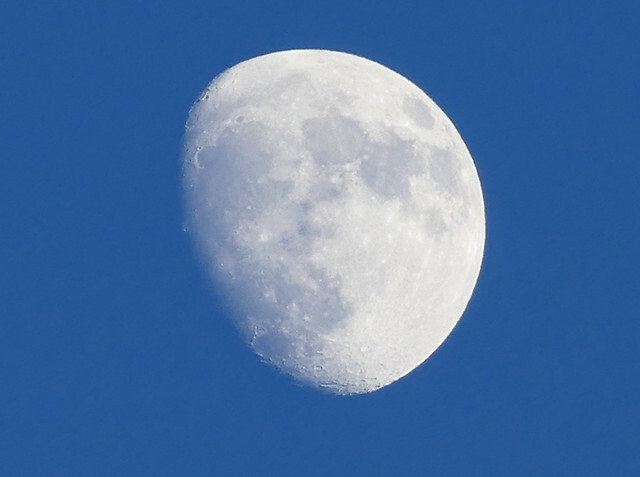 Although I knew from the Photograher's Ephemeris the relationship between the setting sun and the hill I hadn't thought about the moon. A bit daft really as a full moon(or very nearly as it was yesterday) is always going to be in the opposite direction to the sun and therefore close to the hill. So I'd like to say I planned it but it was down to luck. That is a truly beautiful photograph, Dave. Really, really lovely. So frustrating... I've tried so hard to get a decent photo over the last few mornings of the full moon going down, because it's been so huge and bright. No luck, unfortunately- Monday morning it sank too quickly for me to get to the field before it vanished behind the trees, and yesterday morning it was too cloudy. It really was this colour... no Photoshop involved at all. That is a good one, especially considering how you did it. Great colour too and some lovely detail around the craters at the terminator.